While the term URL may not be familiar to everyone, the chances are that you use them everyday without knowing, as a URL is essentially just a web address. But what do all the different parts of a URL actually mean? URLs are things we use every day in our general surfing of the web, but they are something that many of us will never stop to think about too much. So partly in response to a request left in a comment from a reader, Joebunny, and partly as a prelude to a forthcoming post that will require a general understanding of URLs, I hope to explain, without going into too much detail, what a URL is all about. 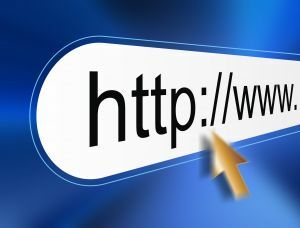 For those of you not familiar with the term URL, it’s really just geek speak for an address pointing to an internet resource, where such resources can be a web page, e-mail account or file server for example. The term URL is actually an acronym for Uniform Resource Locator, i.e. a standard way for finding/addressing resources on the internet. The most common type of URL encountered, and probably most familiar, is a web address, and is the one that I’ll focus on in this article. This is the first component at the header of every URL and is called the scheme. This component tells us what type of internet resource we are looking for e.g. a web site or file server. In this example, http:// tells us, and the web browser, that we are looking for a web page. For the uber geeks amongst you, http stands for Hyper Text Transfer Protocol, although that’s not really important to the present discussion. However, this is an important part of a web address and has to be included for everything to work properly. If you type a web address into most web browsers without the http://, the web browser will automatically add it for you. So while it’s a critical part of the web address from the technical nuts and bolts point of view, it’s a bit superfluous when you’re quoting a web address to someone. Pretty much most web addresses will be prefixed by WWW , which stands for World Wide Web, indicating that the URL is for a website. However, unlike the http:// component, this is not a technical requirement of a URL. If you tried adding www to the above web address, it wouldn’t work. So while the www is an important part of the actual address, it isn’t a fundamental part of a URL. In the above example the news part of the web address is called the sub domain, where bbc.co.uk is called the domain (more on this in a moment). If a website domain were to be considered as a filing cabinet containing loads of web pages, then a sub domain could be considered as a drawer in the filing cabinet containing web pages specifically about the sub domain or specific topic, news in the above example. This part of the web address is called the domain name. If nothing else is typed in after this it will take you to the website’s homepage. A domain usually consists of a chosen name, richardfarrar in this example, which is called the second level domain, followed by one or more defined top level domains (TLD), .com in this example. Top level domains are defined by international internet organisations, with certain TLDs only being allowed to be used by certain organisations. This is the final component of the website URL, which can lead you deep into the bowels of the website and may vary from a simple page or directory like the above, to pages buried deep within the website with horrendously long addresses. While the above list of top level domains only contains a few examples of those currently available, the size a this list is soon set to explode with recent changes announced by the regulating internet authority (ICANN) that relax the rules for top level domains, so keep your eye out for some fancy new web addresses in the future! Hopefully that describes the basics of a web URL, so next time you type in a web address you’ll have a pretty good idea what it all means. This is a very useful guide, I learned something new today! This is an informative guide and does make things easier to understand for those getting into the internet for the first time. As for people who have been on the web along time its already like a second fluent language where assumptions are often made as to how much people know. Thanks Matt, glad you liked the article.